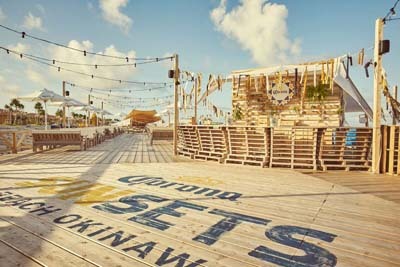 The Corona Sunsets beach bar is open for the season through the end of September. Corona Sunsets, a seasonal car at Chura Sun Beach in Tomigusuku, is again in full swing after opening with a bang last weekend with the Corona Sunsets Music Festival. The Corona Bar has plenty of seating to enjoy the beach. 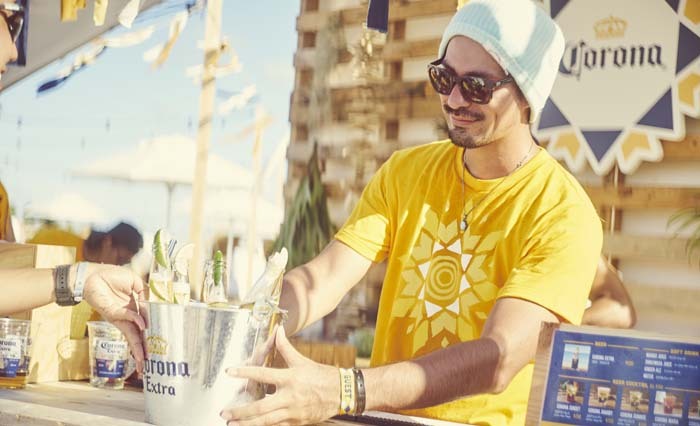 The beach bar is operated by Molson Coors Japan Co., Ltd. and is a part of the Mexican brewer Corona’s worldwide beach party promotion. This summer’s Corona Sunsets bars and music festivals are taking place in Uruguay, Australia, Mexico, U.K., Italy, Chile, Japan, Okinawa, China, Dubai and India. The bar sells only drinks produced by the Mexican beer brewer Corona, and is scheduled to operate through the end of September. It actually consists of two bars. One is a Roof Top Bar, which has 44 seats, eight beach lounge chairs and a DJ booth, and the other Beach Bar that has 123 seats and another eight beach lounge chairs. The beach bar serves beer and beer cocktails customers can enjoy in the ocean view and beach setting. 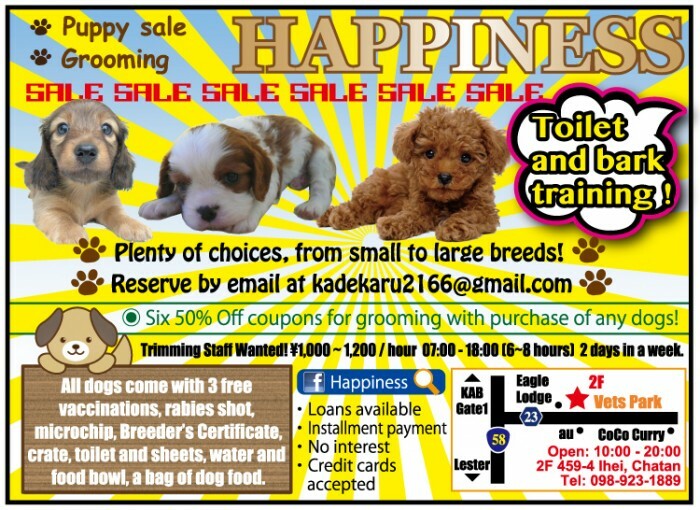 Of course, Corona beer with lime is on the menu for ¥600, and original beer cocktails are priced at ¥700. Mexican-style foods and snacks cost from ¥500 up. The beach bar is open on weekdays from 16:00 to 23:00 with the last order at 22:30. During weekends and national holidays the bar is open from 13:00 to 23:00.